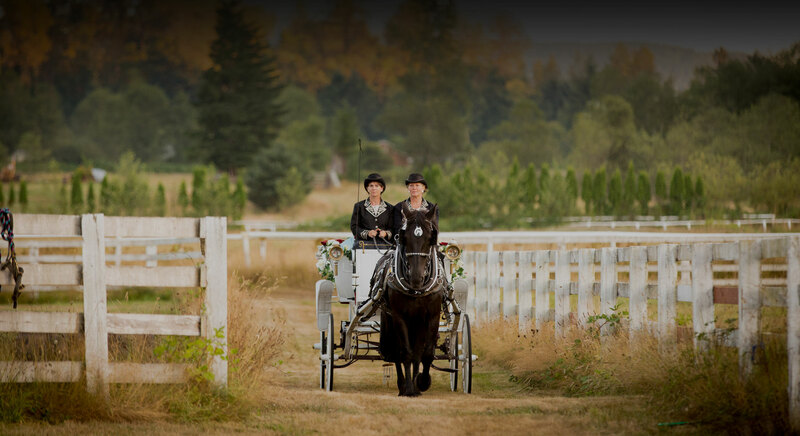 Nestled within the serene Sugarloaf Mountain Valley, and only 45 minutes from downtown Seattle and Tacoma, Rein Fire Ranch is a uniquely beautiful wedding and special event center. Whether you are looking to stage your own event, or a full service team to do it for you, at Rein Fire Ranch we strive to exceed your expectations. Rein Fire Ranch is a 45-acre former horse facility and includes a number of unique features. 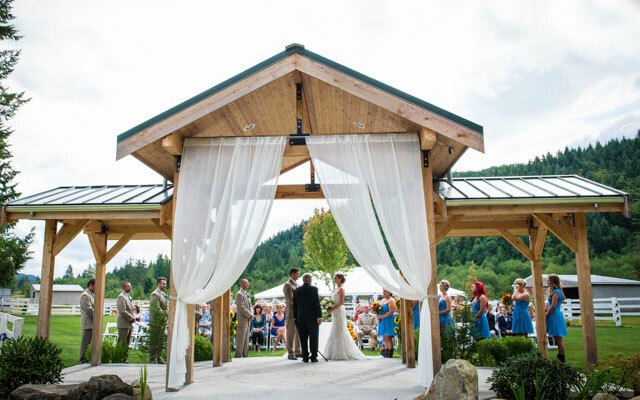 A pavilion surrounded by relaxing gardens and meadows make for a perfect setting for your wedding ceremony, outdoor reception or special gathering and our recently restored 4000 square foot barn can be customized for large or more intimate receptions or other events. The bonfire pit is always a favorite spot for evening gatherings, and our cabana bar allows for a more intimate affair. 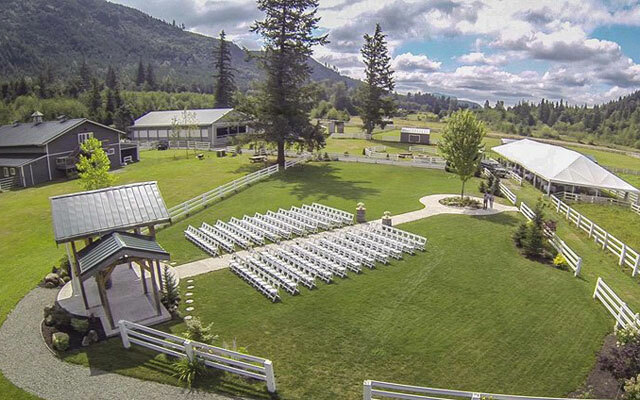 Rein Fire Ranch is a full-service wedding venue with a staff dedicated to help make your wedding day relaxed, unique and memorable. Rein Fire Ranch is ideally suited for family reunions, birthday and anniversary celebrations as well as corporate meetings, retreats and events. Large or small, Rein Fire Ranch is highly customizable for large or intimate gatherings. 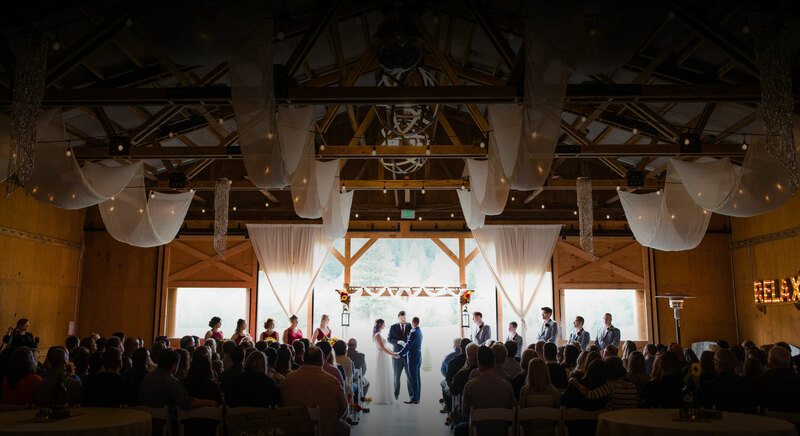 Our spacious event barn is very warm and welcoming, comfortably holding up to 225 guests, with a nice sized dance floor, great acoustics and décor that makes any gathering a wonderful experience. Our ceremony garden is a perfect setting for your wedding ceremony, or small garden party. A beautiful Autumn Blaze Maple is featured in the middle of the garden, with a lovely walkway leading up to the pavilion. We refer to our Ceremony Pavilion as the “jewel in the crown” of the venue. 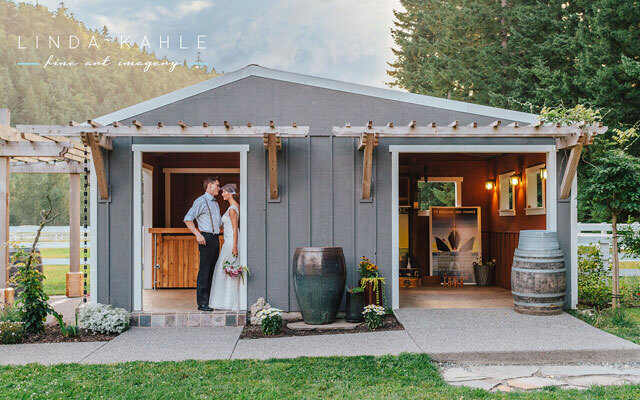 Any presentation, whether it be wedding ceremony or a special performance, is wonderfully set off amidst this very rustic, mountain ranch style structure. Our firepit is the perfect setting for some serious relaxation. Campfire included in our standard rental package, we supply the wood, set it up, allowing you to just sit back and enjoy. Some wonderful moments and photos have occurred at this special part of the ranch. Looking for a more intimate location for an event, or a wonderful place for a social hour immediately following your wedding ceremony. The cabana bar works great as a location for your guests to get a drink. Originally a horse loafing-shed, this structure has been renovated, decorated, and even has it’s own sound system for your enjoyment. Rein Fire Ranch is owned and operated by Rich Kaalaas and husband George Delmar. 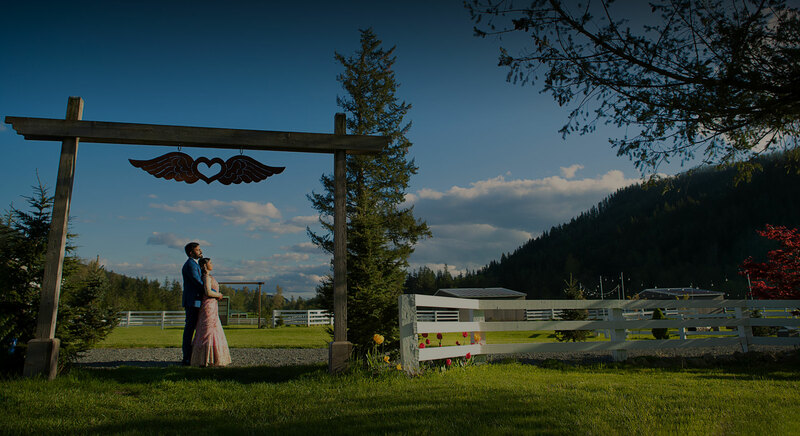 A working horse ranch when they acquired the property in 2001, they developed the ranch into a wedding and special event venue in 2012, in part to make better use of their combined 25 years experience in event and wedding production and to open the ranch for more people to enjoy. Booking a venue is often the first big decision to make when planning a wedding or other special event. Because of this, we are often asked for recommendations to caterers, florists, photographers and other vendors. We partner with companies who share similar goals of excellent standards and service and we regularly review and adjust our list based on our experience and feedback we receive. We have created a list of nearby hotels, as well as some VRBO/AirBnB options, based on distance and recommendations. The list ranges from a number of different styles of hotels, and some wonderful gems of smaller accommodations. Have a look to see what works best for you and your guests. We are currently taking bookings for the 2019 and 2020 seasons. Our rates can be found by following the link below. 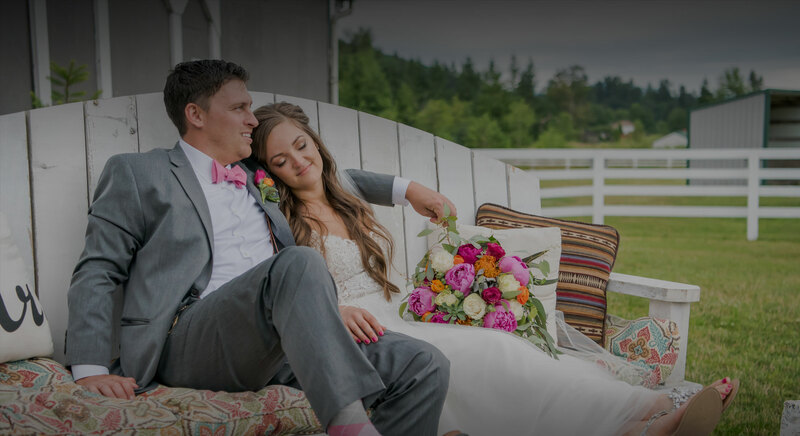 We also offer Elopement Package options for weddings of 50 guests or less, booked less than a year in advance and for rental periods shorter than the full 12 hours. Please email us directly for details and availability. We offer a variety of optional, Add-On Packages to further customize your event and enhance your experience at the ranch. 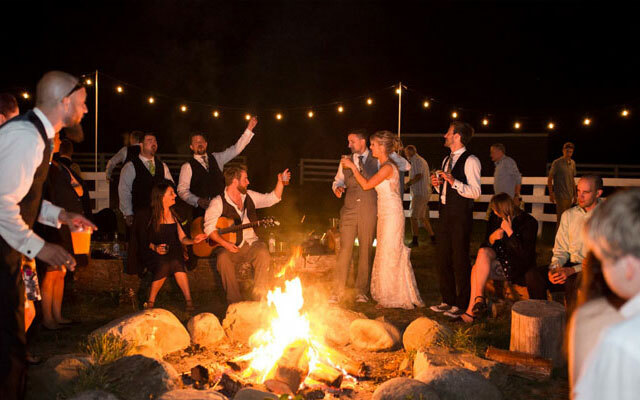 From wagon rides, lawn games, and s’mores at the bonfire, to a mobile mule bar, each can give your guests something to really talk about at the end of the day. We have a large inventory of decorative and practical items available for rent, often at a significant cost savings from buying or renting elsewhere. These items include lighting, signage, vintage furniture, a quaint ice cream cart, as well as drapes for the ceremony pavilion. In addition to the convenience of renting from, we will also handle the installation. Just tell us what you like, how you want to use it, and where you want it. We will do the rest. Interested in coming out to take a look? Contact us about setting up a time for a visit.